Below, I share the process we use in our Hotmail blacklist removal services. If you don’t know how to do this yourself, you may want to consider our email blacklist removal service. Using this process, we have near 100% removal success rate using this process. We are successful because we dig into the server to find the root cause of the listing. By understanding what email behavior triggered the blacklist, we can put a stop to it. Once you stop this behavior, Hotmail will usually remove your IP address automatically. You may be tempted to just rush to the blacklist removal request from, but don’t. I don’t have direct proof, but I suspect that is if you submit multiple removal requests without fixing the problem, you case is flagged for additional screening. This makes it even more difficult to resolve. So fix the problem first. In a few of our support cases, the customer had previously requested removal several times with no success. In each of those cases, we had to engage directly with MS support team to get the issue resolved. In most other cases, the blacklist is removed once we fix the underlying email issues. Also, Microsoft used to allow for custom domain names on their free email service. So we also use this procedure for custom domains routed to MS’s email services. I use these domains and names interchangeably in this post. To be successful in getting removed and staying off of the Hotmail blacklist, you must understand why you were listed. These are the steps we use to identify the source of the spam that triggered the listing. Review server logs or stats to see if there has been a spike in email volume. Look over than last 3-10 days. Review SMTP authentications to check for compromised email accounts. If you have PHP scripts, configure PHP to log mail using the mail.log ini entry. Lookup your IP in your favorite blacklist lookup tool. Check your server’s sending reputation at SenderScore.org. 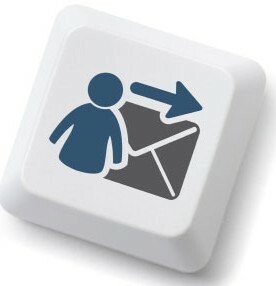 Check for users bulk forwarding email to Hotmail.com and related domains. Check for any newsletters or newsgroups that originate from the server. Identify any bulk marketing campaigns that may be on the server. Verify that DNS related entries (PTR, DKIM, SPF) are correct. This process can take several hours if you are not used to reading your server’s logs. You cannot rely on statistics tools alone. Many of mail tracking tools enabled in cPanel, Plesk or similar systems may lack sufficient detail. You have to dig into your systems and find out what is going on. Spam coming from insecure web applications is the #1 reason for getting into the blacklist. If the server is running PHP, then using the PHP mail.log can be helpful. Otherwise, consider using tools like Malware Detect to scan your server for malware. You may also need to dig into your web server logs to look for suspect activity as well. The most important item is finding and stopping this activity. Less commonly, we see email usage patterns trigger the listing. Of these, forwarding email is the biggest issue. If you forward a high level of spam to Hotmail, they may blacklist your system. In some cases, you may have to stop forwarding email to get removed from the Hotmail blacklist. This is just for reference, but can be a handy reference to understand what is happening to your emails. Here’s and example bounce. If you do not see this, then Hotmail may be sending your email into the junk folder, which is a different problem. The Hotmail rejection notice has important information. In the example above, the 550 SC-001 is an important clue about why your server is blacklisted. You will want to check your logs and pay attention to the codes. They provide clues as to why they blacklisted your server. Typically, major spamming activity will result in a 550 response code from Hotmail. If you catch the spamming soon enough, you may see a 421 code first. If Hotmail users report spam, you will quickly get a 550 block on your server’s IP address. 421 RP-001 The mail server IP connecting to Outlook.com server has exceeded the rate limit allowed. Reason for rate limitation is related to IP/domain reputation. If you are not an email/network admin please contact your Email/Internet Service Provider for help. 421 RP-002 The mail server IP connecting to Outlook.com server has exceeded the rate limit allowed on this connection. Reason for rate limitation is related to IP/domain reputation. If you are not an email/network admin please contact your Email/Internet Service Provider for help. 421 RP-003 The mail server IP connecting to Outlook.com server has exceeded the connection limit allowed. Reason for limitation is related to IP/domain reputation. If you are not an email/network admin please contact your Email/Internet Service Provider for help. 550 SC-001 Mail rejected by Outlook.com for policy reasons. Reasons for rejection may be related to content with spam-like characteristics or IP/domain reputation. If you are not an email/network admin please contact your Email/Internet Service Provider for help. 550 SC-002 Mail rejected by Outlook.com for policy reasons. The mail server IP connecting to Outlook.com has exhibited namespace mining behavior. If you are not an email/network admin please contact your Email/Internet Service Provider for help. 550 SC-003 Mail rejected by Outlook.com for policy reasons. Your IP address appears to be an open proxy/relay. If you are not an email/network admin please contact your Email/Internet Service Provider for help. 550 SC-004 Mail rejected by Outlook.com for policy reasons. A block has been placed against your IP address because we have received complaints concerning mail coming from that IP address. 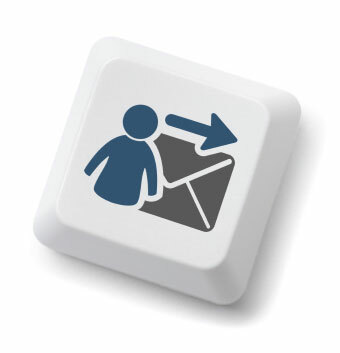 We recommend enrolling in our Junk Email Reporting Program (JMRP), a free program intended to help senders remove unwanted recipients from their email list. If you are not an email/network admin please contact your Email/Internet Service Provider for help. 550 DY-001 Mail rejected by Outlook.com for policy reasons. We generally do not accept email from dynamic IP’s as they are not typically used to deliver unauthenticated SMTP email to an Internet mail server. If you are not an email/network admin please contact your Email/Internet Service Provider for help. http://www.spamhaus.org maintains lists of dynamic and residential IP addresses. 550 DY-002 Mail rejected by Outlook.com for policy reasons. The likely cause is a compromised or virus infected server/personal computer. If you are not an email/network admin please contact your Email/Internet Service Provider for help. 550 OU-001 Mail rejected by Outlook.com for policy reasons. If you are not an email/network admin please contact your Email/Internet Service Provider for help. For more information about this block and to request removal please go to: http://www.spamhaus.org. 550 OU-002 Mail rejected by Outlook.com for policy reasons. Reasons for rejection may be related to content with spam-like characteristics or IP/domain reputation. If you are not an email/network admin please contact your Email/Internet Service Provider for help. If you automatically forward email from your server to Hotmail, you could be forwarding spam — causing them to blacklist your server’s IP. After you have done your investigation and stopped the spam, you are ready to start the removal process. Check that your IP is not longer listed in Spamhaus or other major public email blacklists. Check that your SenderScore is over 75, preferably 80. Do final review of key DNS settings to confirm there are no errors. Complete the Sender Information Form to remove your server IP from Hotmail’s blacklist. Provide all of the requested information. Unlike some other ISPs, MSN Support requires you to run some telnet tests from the command line on your server. If you do not know how to run these tests, you will need to get someone to help you. In working with MSN, I have found it very important to provide accurate email headers. If you provide reliable information and are truly not spamming their systems, you will typically see removal in 2-3 business days. MSN is very picky about DNS. So be sure your DNS, PTR and SPF/SenderID records are in order before requesting removal. If you follow these steps, you should see improvements within 3-5 business days. Be sure to consult the troubleshooting and junk email pages at Microsoft as well. They highlight other items that could impact your delivery if the above steps do not work. If you are also blocked at other IPSs, check out our spam blacklist removal tips page. We provide paid removal assistance for businesses running their own email servers. Currently, we support CentOS Linux, Red Hat Enterprise Linux, Plesk and cPanel systems. You must have root access to the server for us to assist. Most work begins within one business day. You will usually see email delivery improvements within 24-48 hours but can take as long as seven days in difficult cases. If you need help removing your server’s IP from the Hotmail blacklist, just contact us.